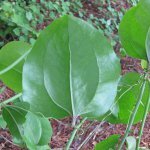 This is a list of wild edibles that are abundant, easy to identify, and significant in one way or another. These are some of the basics that are good to know if you’re stuck in the woods in a survival scenario or simply camping and hiking. There are some basic identification features mentioned here but never eat anything unless your 100% sure what it is. This information does not replace proper plant identification training. 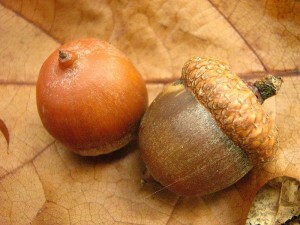 Acorns are the seed from the Oak Tree(Genus: Quercus), they are edible and a very good source of healthy calories, but only if the bitter tannins are leeched out. Mash up the acorns and run cold water through them or wash them in a few changes of cold water until they don’t taste bitter. This was a very important source of calories for Indigenous people worldwide. Acorns contain almost as many calories as bread but more fat so they are a long lasting energy source. 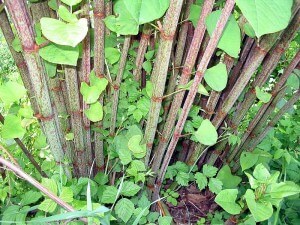 Japanese Knotweed(Polygonum cuspidatum) is an invasive plant in many parts of the united states. I looks similar to bamboo and is sometimes called Japanese Bamboo. 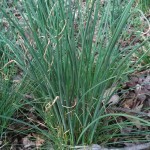 It can often be seen growing next to streams and ponds in full to part sun. 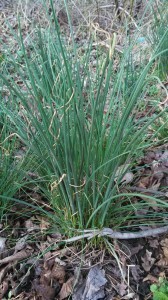 The stalks of this plant are edible and delicious in the spring when they are soft. As soil moisture evaporates in the summer they soon become too hard to eat. Usually there are a significant amount of stalks in one location so you could easily fill up on Japanese Knotweed stalks. There is some caution that eating too much of this plant for long periods of time could aggravate certain conditions such as kidney stones and joint pain because of its oxalic acid content. On the other hand Japanese Knotweed contains resveratrol which is still being studied for its ability to reduce the effects of aging and lead to a longer lifespan. Alliums(Genus: Allium) are another name for all plants in the onion/garlic genus including leeks,shallots and chives. These plants range in size, shape, and color, but one thing holds true for many of these plants: they usually smell strongly of onions or garlic. 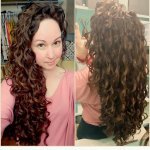 That is your best identification feature because there are some poisonous look a likes. So if you have any doubt throw it out. Alliums will be obvious because of their fragrance. Today worldwide there are only about a dozen of these plants sold commercially but there exists anywhere from 300 to 700 distinct species in the wild depending on how they are classified and all parts of these plants are edible. Many mammals like dogs and cats are susceptible to poisoning from plants in this genus so it is advisable that you don’t over-consume any plant in this genus. Some common species include Wild Garlic(Allium vineale), Wild Leek(Allium tricoccum), and Wild Onion(Allium canadense). 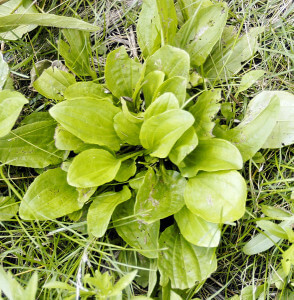 Yard plantain(Plantago rugelii) is a small yard and field weed. This is an ancient medicinal plant for Native Americans and it grows in large numbers. Another non-native European species is (Plantago major) which looks very similar, is very common and can be used for the same purposes. The young leaves are palatable and can be eaten raw or cooked. As the leaves get larger they become more bitter, tough and stringy and don’t make as good of a food. I prefer to eat the seeds and stalks at this point since they are starchy and less bitter than the leaves. 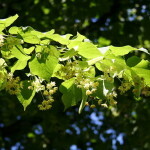 This plant is extremely nutritional, containing many vitamins and minerals. One of the primary medicinal uses of this plant though is for a wound dressing, it is known to kill bacteria, stop blood flow and accelerate the healing process. 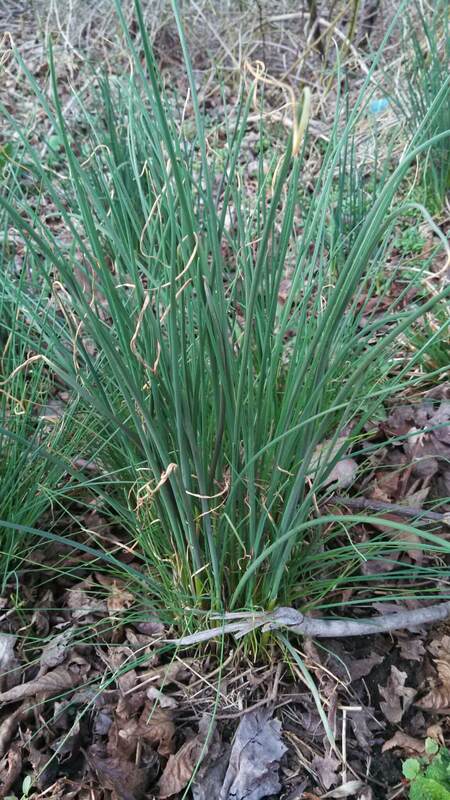 The best way to identify this plant is by its leaf shape, fibrous leaves, and seed stalk. Hickory Trees(Genus: Carya) are large usually deciduous trees. The nuts its drops are a good source of protein. The best way to crack a hickory nut is with a rock or hammer. Hickory nuts have a 4 segmented shell and a very hard nut on the inside and inside that is the soft edible part. The nuts drop in the fall but can be foraged for months afterwards. 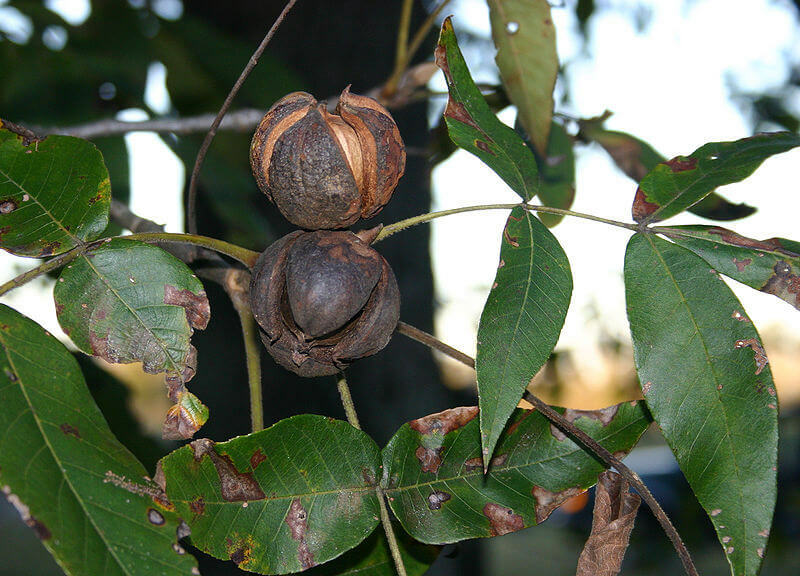 One of the best species for edible nuts is Shagbark Hickory (Carya ovata) which can be identified by the Shaggy Bark. 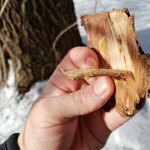 An additional little known edible part of the Hickory Tree is its sap which can be tapped in spring and fall just like Maple, and Birch. Tapping certain trees for sap is a great way to obtain clean water in the wilderness. 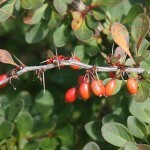 Autumn Olive is an invasive shrub in the central and eastern parts of the United States. It grows in old fields, woods edges and roadsides. 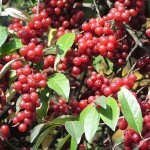 It has an abundance of edible red berries in the fall. 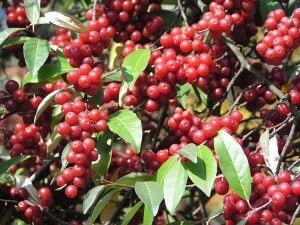 The berries are edible but sour when raw. They are often cooked into pies, Jellies and other preserves. These berries are so abundant that it is easy to pick a half gallon full in a half hour if you have enough plants. the best identification feature for this plant is the small silver speckles covering the leaves and berries. The undersides of the leaves are also much lighter than the top of the leaves. DANGER!! There are extremely lethal look a likes to this mushroom, proper identification is a life or death issue. That being said proper identification is very straight forward. 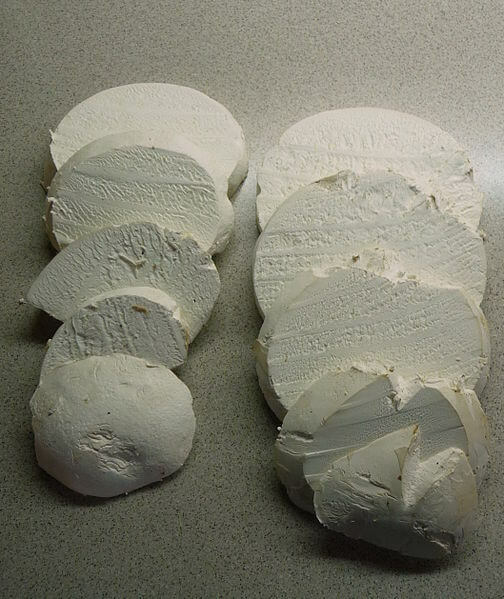 Puffball mushrooms must be cut in half and are edible if and only if they are pure white inside! Pure white like a fresh mozzarella ball or a marshmallow. If there are any marks, discoloration, gill outlines or anything other than pure white, discard the mushroom. Puffball mushrooms fall into a number of genuses and grow all around the world in many climates and seasons. One of the best Puffballs to find in the United States is the giant puffball(Calvatia gigantea) which can grow up to 1′ diameter. Puffballs should be cooked and are great in soups, or fried. 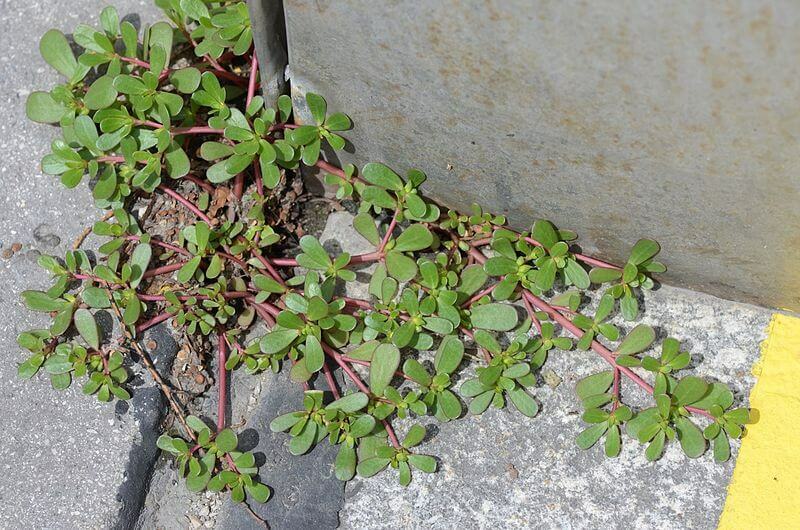 Purslane(Portulaca oleracea) is a planting bed and garden weed that is easy to identify once you know what to look for. It is one of the few succulent looking plants that grows in temperate climates. It has relatively thick leaves and holds moisture inside which enables it to grow in hot dry soil all over the United States and Canada. 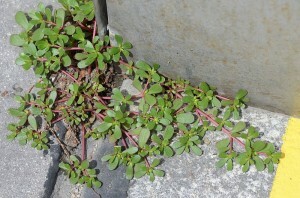 Purslane has a mild taste and can be eaten raw or cooked, all parts of the plant are edible. Purslane is a very nutritious plant but it’s claim to fame lies in the fact that it contains very high Omega-3 fatty acids which are vital for proper brain development. In mid summers hot dry weather Purslane is a refreshing find for any forager, and since it’s so common, finding it should be easy. Amaranth(Genus: Amaranthus) is another common weed that grows in fields and disturbed areas. 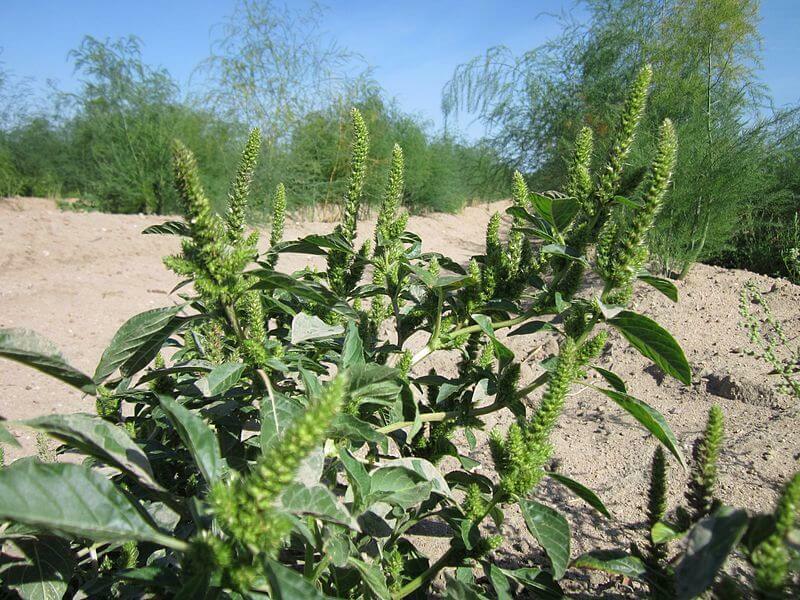 It also goes by the name Pigweed and is a common edible around the world. The leaves, stems, roots and seeds are all edible, most commonly they are eaten cooked, some species have seeds worth collecting and are used as a pseudograin. Amaranth also grows in large quantities, so you could easily collect enough for a significant side dish to a meal. The leaves taste very good cooked like spinach, that’s why it is such a common edible in other parts of the world. 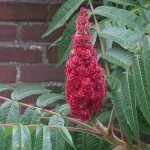 Amaranth can be identified by its fuzzy seed stalks which have been selectively bread for ornamental varieties as well. Plants and Mushrooms aren’t the only thing worth foraging for. The often taboo practice of entamophagy (Eating Bugs) is an important part of our ancestors diets and a great area of foraging to explore. 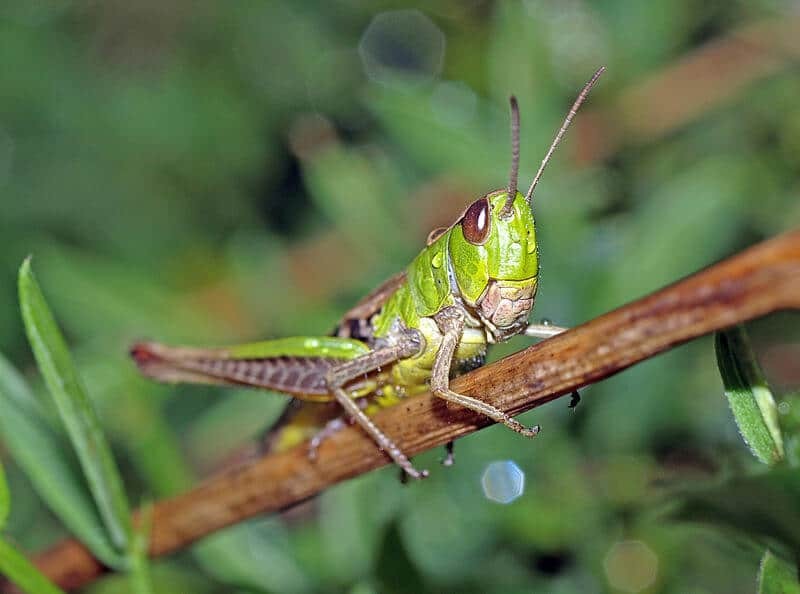 Crickets and Grasshoppers are the only insects to be considered kosher in the Hebrew Torah. 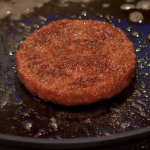 They are a safe and nutritious option as long as they are cooked. There have been some health concerns if not cooked, so cooking all insects before consumption is always recommended. The primary benefit with these wild edibles is protein. Protein is difficult to obtain in some parts of the world, and many of these populations are active bug eaters, which is what keeps them alive and healthy. These insect are known to taste good, especially when added to meals and seasoned. If your looking for a natural low fat source of protein that’s free and easy to find, this is it. 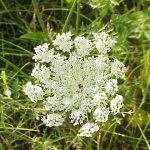 Please Share this article with your friends and help to spread the knowledge of wild edible plants. Including wild edibles in our diets and eating with extreme diversity is better for our health and our planet. If you have any questions or comments then comment below or send a message to our facebook page which can be found by CLICKING HERE. 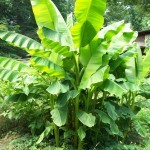 Plantain should probably be described as an ancient medicinal plant used by Europeans; who introduced it to North America. After that, they Native Americans could have used it, but they did not know the plant before that time. Thanks Harold for noticing that, I have since clarified which species are native and which are introduced.